Being able to custom configure your own laser system is yet another innovative philosophy that Universal Laser Systems has adopted to service the needs of its customer base. We believe that the customer should purchase only what is needed. 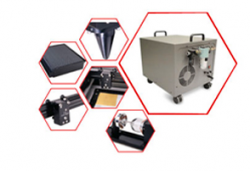 It is also important that owners of ULS systems have the confidence in knowing that they can easily expand the capabilities of their laser system(s) as their business needs expand.